02/06/19 Robin News: Seeing Robins? Report your sightings of American Robins and help document where robins are present at this time of year. 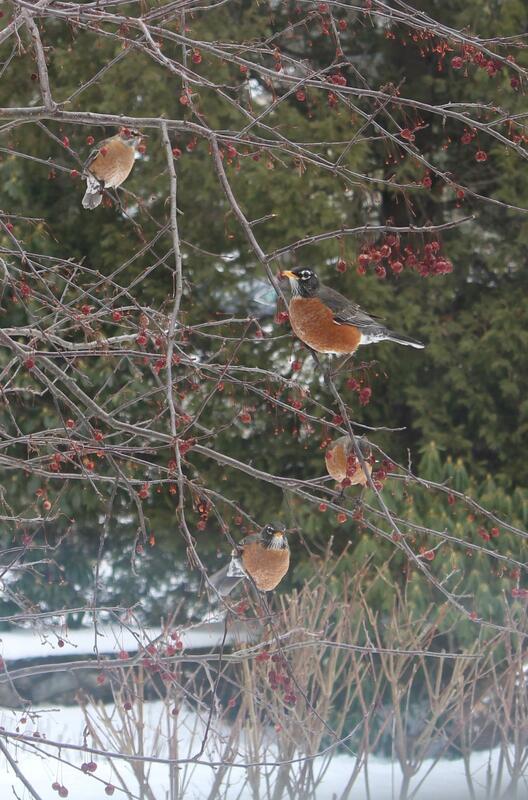 The return of robins is a favorite sign of spring in northern regions. Journey North volunteers submitted these observations. By submitting your observations, you help to create the kind of information needed to answer tough questions like the one posed by Journey North volunteer, Paul. Use the spring checklist to learn what to watch for this spring—wintering robins, first robins, first signing robins, waves of robins, first earthworms, and nesting behavior.